Social media engagement is all about the likes and comments for your business social media efforts. Facebook alone has over 1.5 billion users per month. That makes it a place that your business should have a success strategy for. Re-tweets and followers for Twitter. Shares, likes and followers For Facebook. Likes and followers for Instagram. Followers indicate the highest level of engagement due to the fact that those users have indicated they want to see more of your content on a regular basis. Followers are the most likely to be customers. Think of it as getting a website visitor to sign up for your e-mail list. Social media engagement can have a very positive effective on your business positive as something you posts goes viral and generates a lot of positive buzz which can then turn into targeted traffic. The reverse is also true. One poorly thought out tweet can create a storm of bad publicity that could prove to be the end of your business. Not to be entered into lightly. Frequent social media posts and tweets can keep your business at the top of people's newsfeeds making you visible for customers and reminding them that you still want their business. On the other hand too many posts looks like spam and you lose their attention. By completing the Business Success Assessment you will see exactly where your Social Media Engagement is at today. 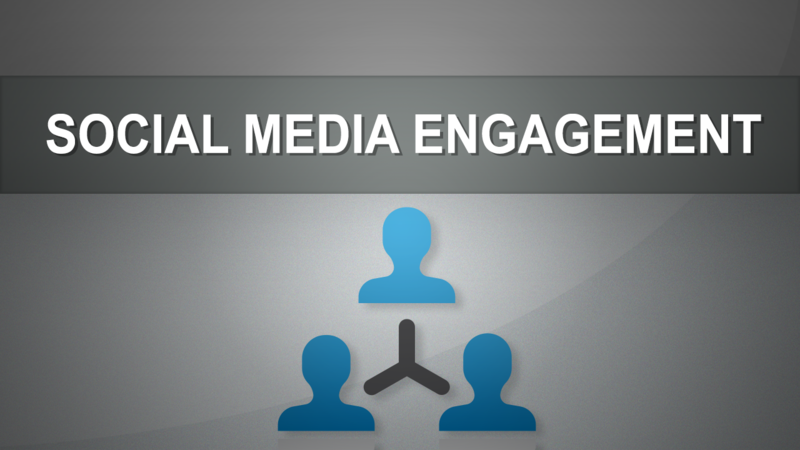 Just having Facebook, Twitter, and Instagram pages is not enough, you have to engage users and create followers. The Business Success Assessment will also provide you with the resources you need to do both.